You Won't Believe All The Things That Happened At Nickyanka's Reception Last Night! Weddings can bring two families together, but celebrity wedding can bring exes, rivals, haters, all under the same roof. At Priyanka Chopra and Nick Jonas's third reception party, Bollywood and TV stars were invited, including Priyanka's close friend and ahem...exes. Everyone dazzled in their sparkly sarees and gowns and made unbelievable situations look completely normal. But there is a lot more happened last night that we couldn't have expected ever. Want to know what? Read on! Bhai is the latecomer of Bollywood; however, for PeeCee's wedding reception, Salman arrived at 10 pm, which was earlier than expected. 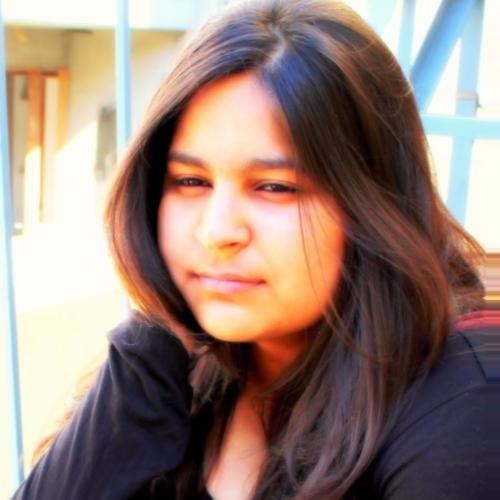 Also, we were surprised to see Bhai there as the rumours about the bitterness between Salman and PeeCee due to her exit from Bharat were ripe. All is well and well on time, eh? Salman Khan and Vivek Oberoi's feud is hidden from no one. Their fight over Aishwarya Rai when Vivek and Ash were close friends raised a lot of issues for Vivek Oberoi. Since then his career has taken a dip. After 14 years, Salman and Vivek were seen in the same room. We aren't sure if they acknowledged each other, but boy, that would have been awkward. All the exes in the house! 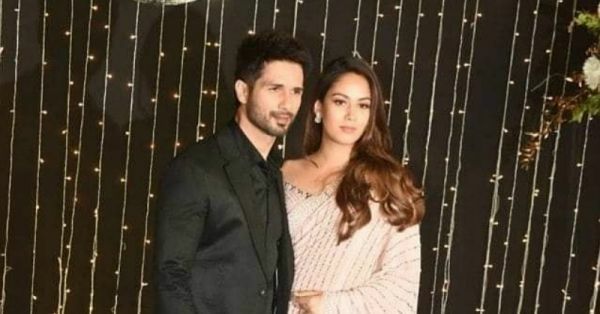 Shahid Kapoor and Priyanka Chopra were allegedly in a relationship, but it looks like it's all in the past because Shahid attended PeeCee reception with wife Mira Rajput Kapoor. Both Shahid and Priyanka are now happily married and Shahid is a father to two beautiful children. Kangana and Karan's discussion on nepotism spread like wildfire when she appeared on Koffee With Karan and called its host 'the flagbearer of nepotism'. Kangana even performed in a video that spoke of nepotism and sexism in collaboration with a media house. After a year-long countrywide discussion, the two were under the same roof yesterday. In case you missed the fun, let me recap Sara and Kartik's awkward encounter for you. Sara Ali Khan spoke about her wish to date Kartik Aaryan on Koffee With Karan and ever since, fans have been rooting for the two hotties. Ranveer Singh played cupid when he introduced Kartik to Sara at Loknath Awards 2018. Both looked awkward AF. However, after the meeting Kartik Aaryan caption one of his Insta-post 'pose marey,' which is similar to the title of the latest song from Sara's film Simmba. And we are sure, they met at Priyanka's reception once again. See the post below. Katrina Kaif and Anushka Sharma are good friends in real life and have worked in two films together. As they have been promoting Zero together along with Shah Rukh Khan, it's natural that they are closer than ever now and they chat on a regular basis despite their busy schedules. 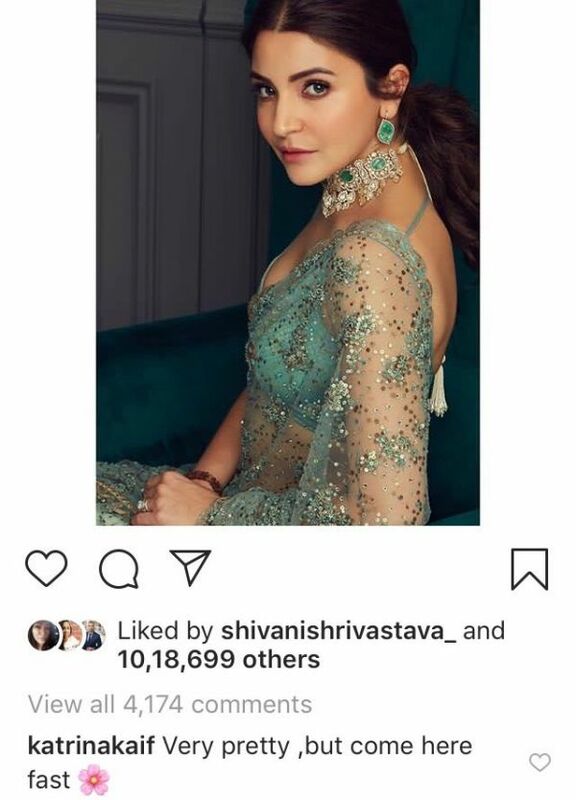 Last night after Anushka Sharma posted a gorgeous picture of her look, Katrina didn't take long to comment, "Very pretty but come here fast," much like we would tell our BFF if we are waiting for her at a party. 7. Harman Baweja also made it to the guest list and attended! Harman Baweja, who was dating Priyanka Chopra and was seen opposite her in a couple of films like What's Your Rashee? was also at the party.